Cities across Washington want to take action locally to address global climate change. Through energy efficiency programs and Climate Action Plans, we are seeing increased government interest and goals for reducing the carbon impact of the built environment. But the specific measures and levers to meet these goals require policy, market research, and meaningful partnerships that take time and resources. Building on the research, experience and leadership in the Pacific Northwest on the advancement of green buildings, Shift Zero developed the ZNC Policy Toolkit to assist municipalities in crafting and implementing building incentives and policies that can have a positive impact and help municipalities achieve their climate goals. 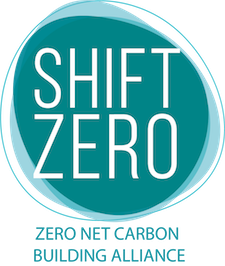 Shift Zero members are available to share expertise and discuss incentives with interested municipalities. Contact us to learn how local incentives can help bring the benefits of zero net carbon building to communities across Washington state. Contact info@shiftzero.org for more information.